Thank you Tina and Tony, we had such a memorable holiday with you last year we couldn’t wait to holiday with you again. Your good sense of humour and relaxed nature made us feel at home once more. The whole experience has been wonderful, we could not have wished for more or got more! We have definitely caught the sailing bug! We could not let another minute go by, however, without thanking you for one of the most spectacular experiences of our lives. The sailing trip was simply superb. 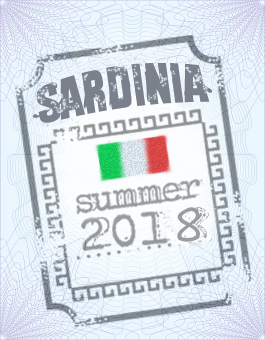 Of course the backdrop of the scenery in Sardinia and Corsica was unbeatable and unforgettable, but what impressed us the most was your quiet competence/sailing expertise, attention to detail and ongoing efforts to ensure the highest standards of service. As you know, we are experienced sailors and noticed little things that others may not that speak to your concern for safety first, always important on sailing trips, and for ensuring the best possible trip for your passengers. We appreciated Lea's attentiveness as well. Great meals and service! Both of you are also excellent companions. By the end of the trip we felt that we had known you for a long time. I truly hope that our paths will cross again in the future. Again, many, many thanks. We have had the best holiday with Tony and Christina as they are a truly warm and hardworking couple who look after your every need. From our initial email conversations when they answered promptly all our delving questions about their service, to being happy to accommodate our individual foibles (eg no bananas as I am allergic, sourcing low sugar soft drinks), to the wonderful way they discussed and tailored our itinerary, we knew we were in very safe hands. Their beautiful yacht is your home for the duration, with 5* hotel attention to detail and nothing is too much trouble. No extra charge for a sea view and with no extra charge for your tea or coffee, always made exactly how you like it. The breakfast and lunch are freshly made and always delicious with a selection of local produce. Lunch is beautifully served whilst anchored in different bays of turquoise water. Swimming and snorkelling off the yacht is great fun. Towels and showers are ready as you clamber back on board ready to sail to the next stunning location. Oh and don't forget the Gelato. Tony appears to be a gourmet here, recommending the best places at each evening stop, definitely not to be missed (or you'll disappoint him!). We took a week’s holiday in September 2015 – never sailed before and it was perfect! From the moment we arrived Tina and Tony were there to greet us and made us feel very welcome. The safety briefing over coffee and cakes made us realise we were in very safe, knowledgeable hands. We had a very relaxing holiday with great food, great hosts, great places, and great laughs and memories that will stay with us forever. We can't thank you Tina and Tony, you've got it perfect and we will definitely be setting sail with you again. Hopefully 2017. Below is the photo I think you are referring too and feel free to use the photo you kindly took on our last night. We still talk about our holiday and as we said the memories will stay with us forever. Sailing with Sixth Sense was an exceptional experience in every way. I knew little about sailing in the Northern Sardinia and the Southern Corsica area and Tony was a wonderful guide and showcased the best of that area for us. It is a beautiful treasure for sailing! The boat was immaculate. Tony was a superb host and sailing companion in every way. Lea prepared outstanding meals that catered to our idiosyncrasies and preferences…no small task with our group of four! We truly felt like we were on a “luxury” sail, but with the comfort and informality of being with good friends. We will always cherish this very special vacation and hope that we can sail again sometime with Sixth Sense. I would highly recommend Sixth Sense to anyone contemplating a sailing charter in Costa Esmeralda, Maddalena and Bonifacio area and would be glad to provide any additional information.